O’Brien’s Going After Cacciato is a masterful work of art that incorporates a powerful story brought to life and vivid characters that stand out and above the norm. Characters, fascinating yet believable, and a story that transforms reality into a world where the reader can endure a terrible truth and enjoy a wonderful beauty and finish the book knowing he/she was always in the right are two aspects of the novel the writer must take into consideration. Tim O’Brien, in Going After Cacciato, is one such writer, who must have taken his own experiences from the Vietnam War, transforming them into a story readers can further understand more specifically about the war, the soldiers, and the awful truths that often lay hidden during such horrendous times. Very great novels need great characters; and in O’Brien’s Going After Cacciato there is no short supply of memorable characters. Without unforgettable characters a book becomes easily closed. “Real-life characters do sometimes hold their own in fiction,” writes John Gardner, in The Art of Fiction, “but only those, loved or hated, whom the writer has transformed in his own mind, or through the process of writing, to imaginary beings” (127). Cacciato, Paul Berlin, and Sarkin Aung Wan are just some of the characters that stand out in O’Brien’s 1979 National Book Award winning novel. The boy gave [Paul] a stick of gum. It was black Jack, the precious stuff. “You’ll do fine,” Cacciato said. “You will. You got a terrific sense of humor” (O’Brien 212-218). 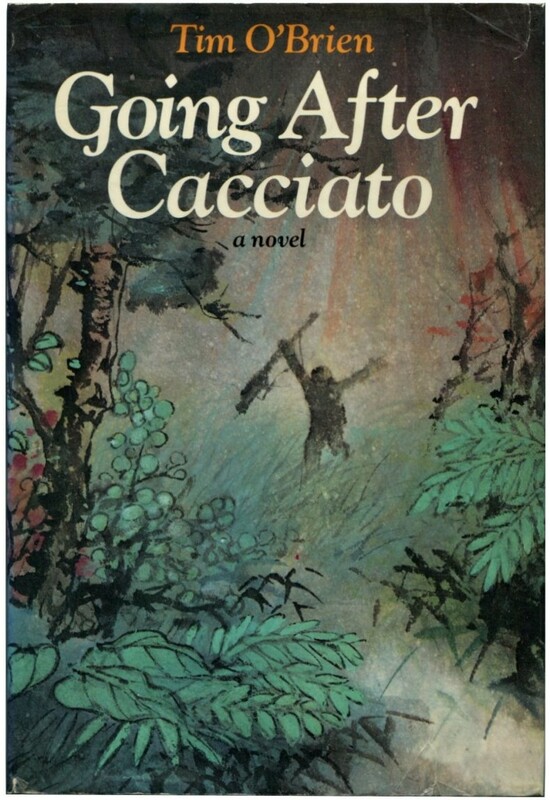 Cacciato is described in such terms as to provoke innocence and a larger than life appeal: “big blue baby” and “genie’s voice.” And just as Paul Berlin sees Cacciato for the first time in the book, so does the reader. Full spotlight: Sarkin Aung Wan and Paul Berlin stand, stack their papers, then wait. They do not look at each other. There is no true negotiation. There is only the statement of positions. Footsteps click in the great conference hall. The lieutenant enters. He wears his helmet and rucksack. He shakes hands with Paul Berlin; they exchange a few quiet words. The old man then crosses to Sarkin Aung Wan. He offers his arm, she takes it, and they move away. A moment later Paul Berlin leaves by a separate exit (O’Brien 321). Although the lovers do not end up with one another, O’Brien has fully shaped them into their own beings, unique and far from the control of the writer; the end of the relationship between Paul Berlin and Sarkin Aung Wan can be viewed as a natural outcome, a conclusion the reader can share in and accept as true. Noah Lukeman writes in The First Five Pages that “more can be said by one single action than by a character’s delivering an entire monologue” (107). O’Brien has brought his characters to life, set them free, and allowed them to develop into people the reader can truly relate to. Far off, buried in the thunderhead, he sees for an instant the twin towers of Notre-Dame. He sees a gargoyle’s wild eyes. The gargoyle is torn from its mount, wings flapping, and it flies—it does! Bat wings, screeching, caught up in the acceleration, picked up and flying. The thunderhead scoops up whole pieces of Paris: a great stone bridge and a bus and a cabbage from a lady’s handbag (O’Brien 291). No such thing could ever really happen in reality; O’Brien, however, weaves the imagination into such concrete details that the above scene produces a “new reality” and one the reader may accept as true, as being what it must be, as what it is because it can never be anything else. O’Brien’s Going After Cacciato is a masterful work of art that incorporates a powerful story brought to life and vivid characters that stand out and above the norm. Every writer should take a lesson from O’Brien in how to shape fictitious characters until they become “real” and how to form an imagined world into a “new reality.” To do so, to envision and enliven a story with such craft techniques, creating larger than life characters and a believable world, is to understand why stories are to be told. O’Brien, Tim. Going After Cacciato (1978). New York: Broadway Books, 1999. Print.